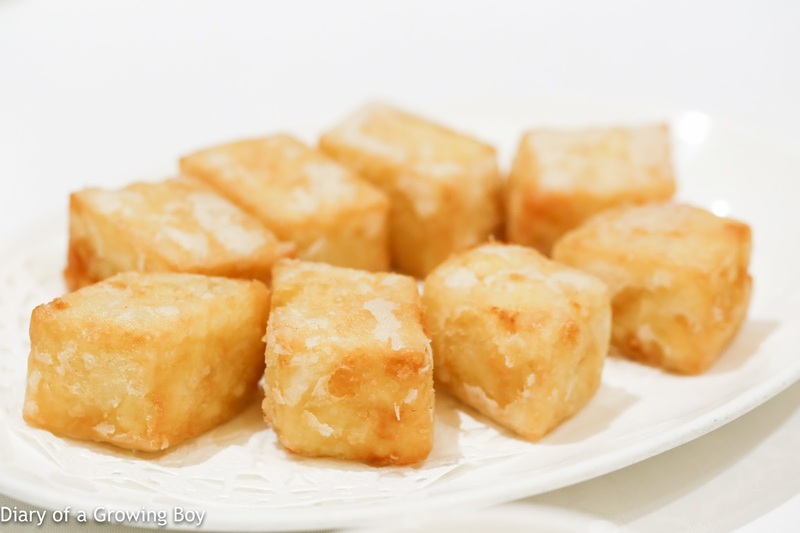 Deep-fried chicken kidney mixed with egg custard (雞子戈渣) - The Great One always loves ordering this. Love the fluffy texture of the custard. And no, it ain't no chicken "kidney" they used... I should have asked Brother Seven for confirmation. 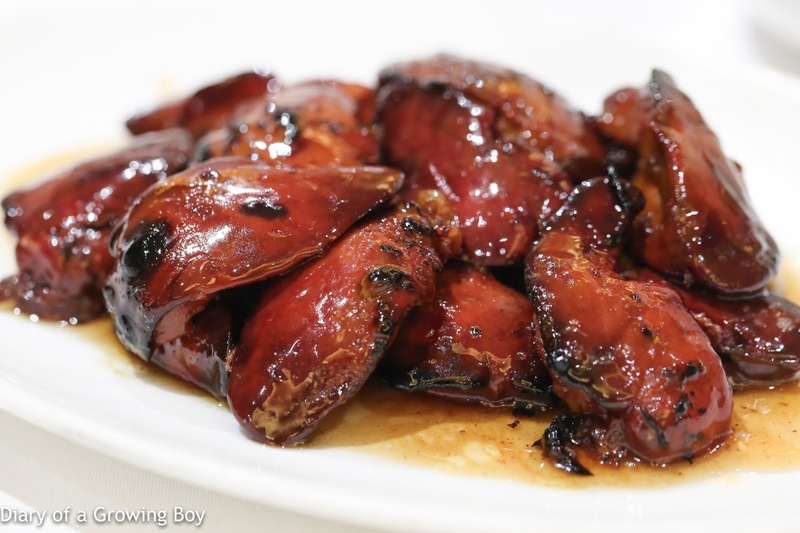 Honey glazed barbecued chicken liver (蜜汁燒鳳肝) - always delicious, with the right amount of charring at the edges and a generous amount of honey sauce. 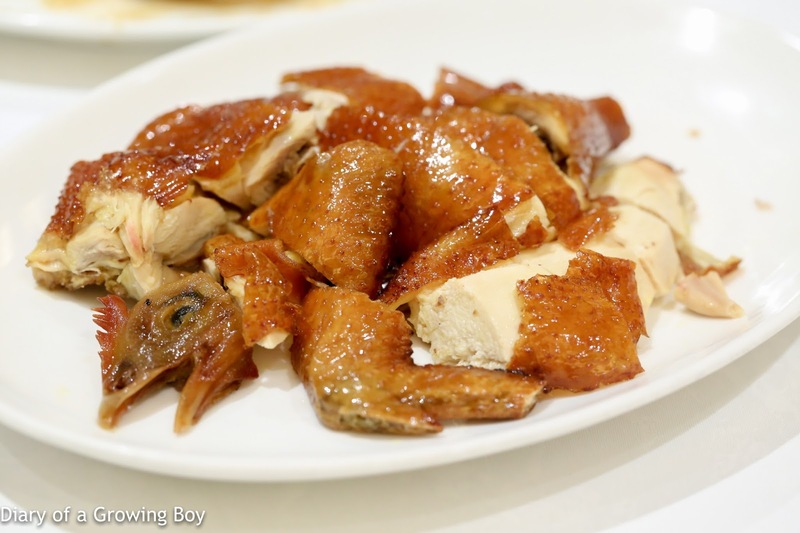 Crispy chicken (當紅炸子雞) - while we were figuring out what to order, we didn't want the Kat to feel left out, and asked him what he wanted to eat. No sooner had he uttered the words "crispy chicken" than both The Great One and I shot down his suggestion. I even took the extra step of insulting his choice of dish as "mundane" - half-jokingly. The Kat expressed his frustration at being shot down, and protested the futility of him offering any suggestions on the menu. I took a step back and offered an olive branch. 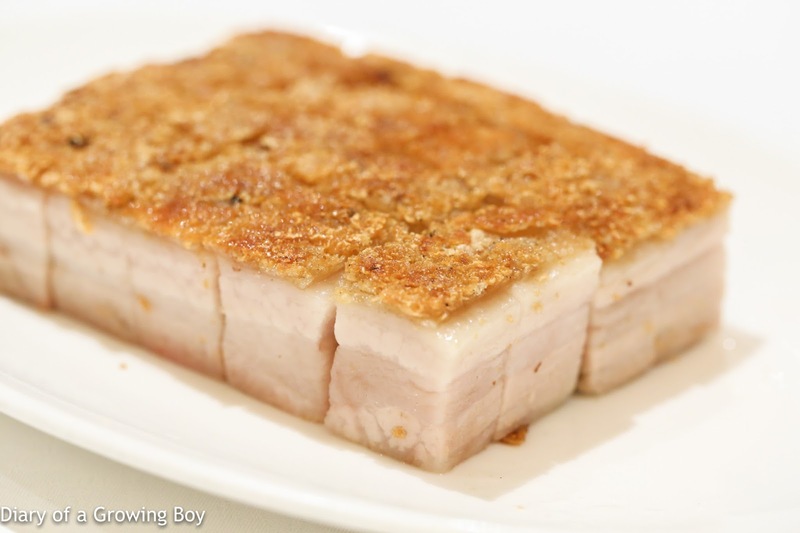 While both The Great One and I find crispy chicken a little on the boring side, if one were to order the dish, there is no place more appropriate than Seventh Son or Fook Lam Moon (福臨門). Why, you ask? 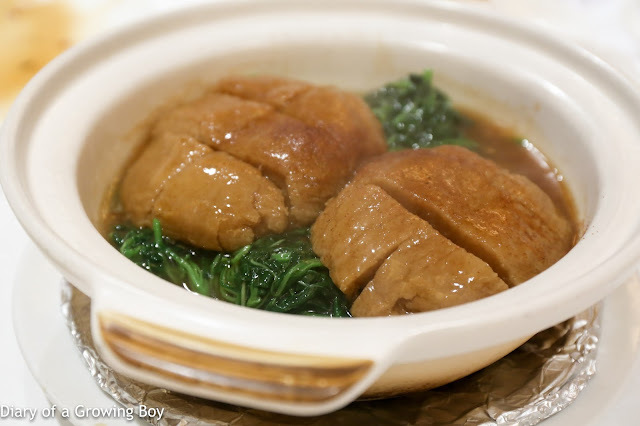 That's because the dish was made famous by Chui Fook Chuen (徐福全), the patriarch founder of Fook Lam Moon. The chicken is rubbed with salt and air-dried for 8 hours before being hung and drizzled with hot oil continuously for half an hour. Stir-fried kailan with crab meat and bamboo pith (竹笙蟹肉扒芥蘭度) - we needed some green veg, and I took this at our waiter's suggestion. Pretty good. 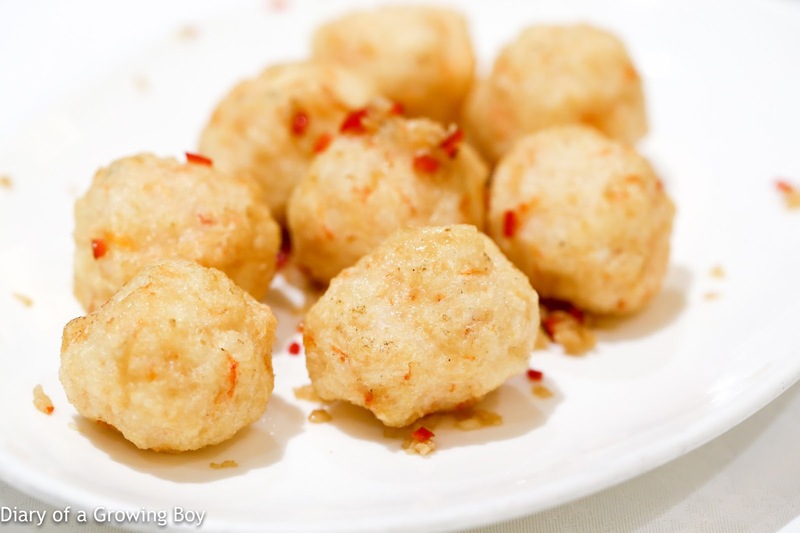 Deep-fried prawn balls (椒鹽炸蝦丸) - another order that the Kat sneaked in later. 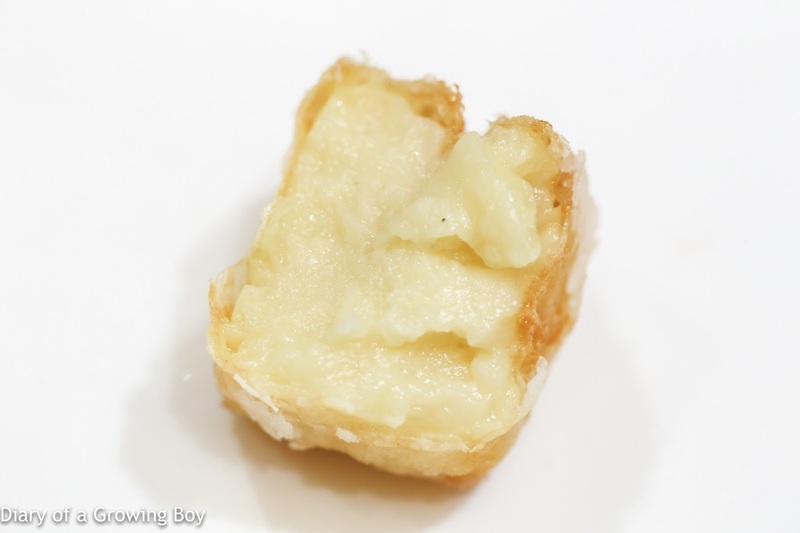 Nothing wrong that deep-fried balls... ever. 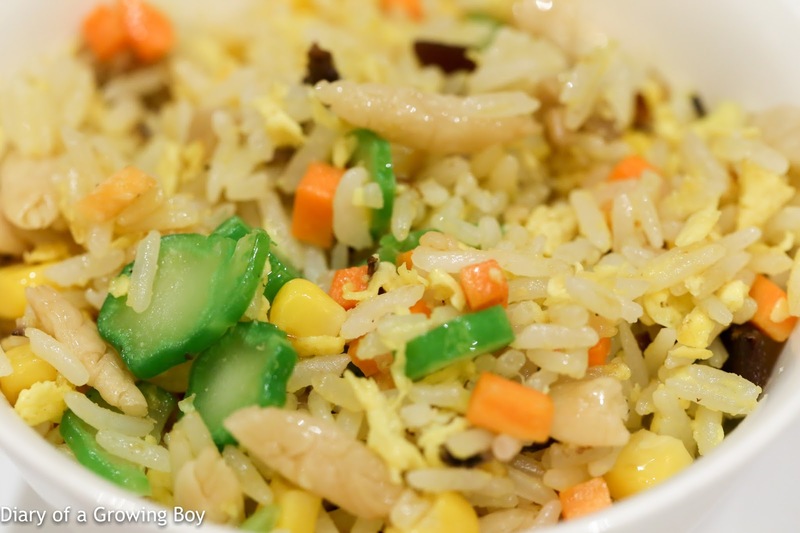 Fried rice with precious mushroom and vegetables (油雞㙡菌欖仁翡翠黃金炒飯) - The Great One really liked this the last time we were here together, so she asked for it again. Gotta say that for a vegetarian flied lice dish, this was damn good. Stir-frying at high heat produces rice grains that are slightly dry and on the chewy side, which is delicious. The Indian almonds (欖仁) were incredibly tasty after frying.